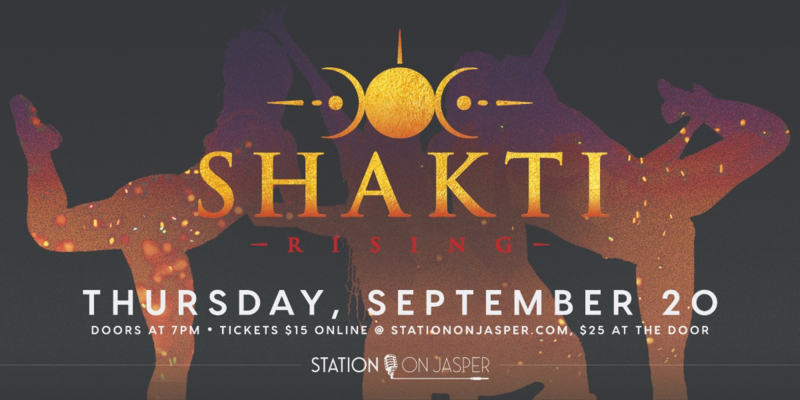 Station On Jasper Presents Shakti Rising. Shakti Rising is a powerful, multidisciplinary, paradigm-shifting performance showcasing the talents of 30 female artists from Edmonton. The show is an embodied performance of song, dance, spoken word poetry, live hip hop, clowning, burlesque, electronic sound weaving, live music, tantric feast, flow arts and interactivity with our audience. A testament to the new paradigm, Shakti Rising serves as a potent model for what occurs when women collaborate, celebrate and express together, rather than compete against one another. A magnetic account of the female experience, the Shakti Showcase delves into the topics of ceremony, sensuality, confidence, strength and equity. We acknowledge the magic of strength in connection. Together we rise. Growing up in British Columbia, Canada, Simon developed a strong affinity to nature with artistic foundations in visual art and music. In 2004 he gravitated towards painting as a full time endeavour bringing his musical background into the visual realm. Simon has explored many visual mediums, including animation, often with a strong influence in spiritual themes connected to nature. Currently his primary medium is digital painting. He continues to also produce music, and has released four full length albums since 2002. Within art galleries, festivals, conventions, and online platforms, his work is exhibited globally. He currently works out of his studio in Roberts Creek, BC, while continuing to explore an ever expanding palette of creative endeavours.